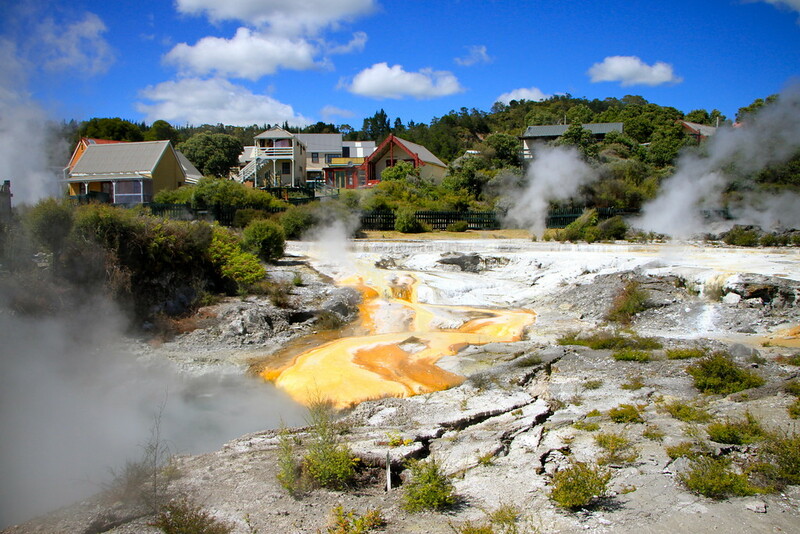 Anyone who has been to Rotorua on the North Island of New Zealand will know it comes with a certain…odour. The area is famous for its hot, natural thermal springs which come in handy if you’ve just been trekking the Tongariro Crossing! 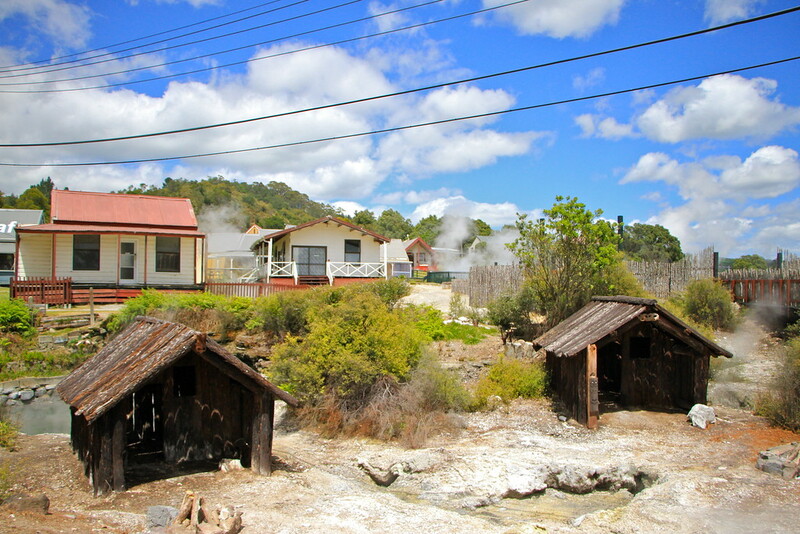 When we visited Rotorua, we took half a day to visit the local Whakarewarewa thermal village! 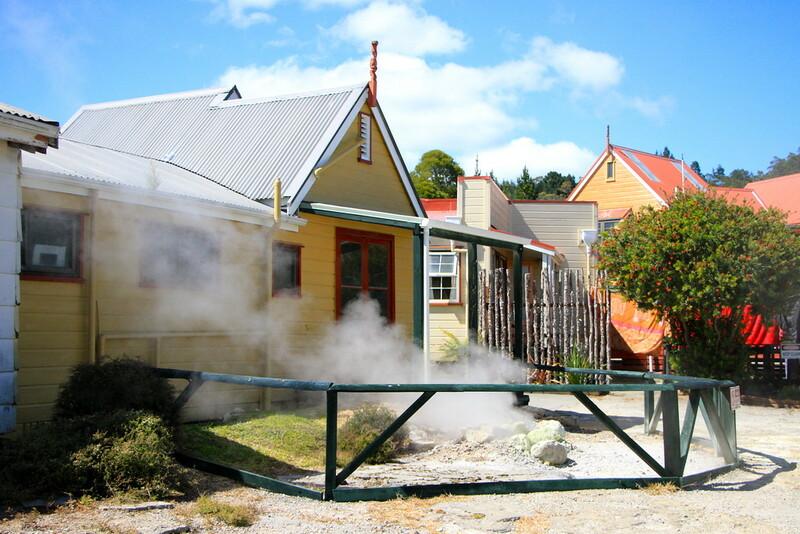 The village is a real living village, but has been geared towards tourism with a number of daily tours around the village. Despite the ‘touristy’ feel to it, we were genuinely intrigued by the village, which sits around 500 thermal pools and 65 geyser vents. We were shown around by our guide, who explained to us how the village sits above many hot pools and indeed in some places the ground is less than a metre thick. As a result, new vents open up in the village every now and then, forcing people to move from homes and adapt to the changing landscape. There are, however, some very obvious benefits! Being able to have a fresh, hot mineral bath whenever you want for free. Utilising the steam vents to steam cook whole lambs and pigs, and the precise amount of time for perfect boiled eggs! There are also areas of the village where the ground is hot enough to cook on as well, with the hottest pool reaching over 120 degrees Celsius! Jamie Oliver would love it here. 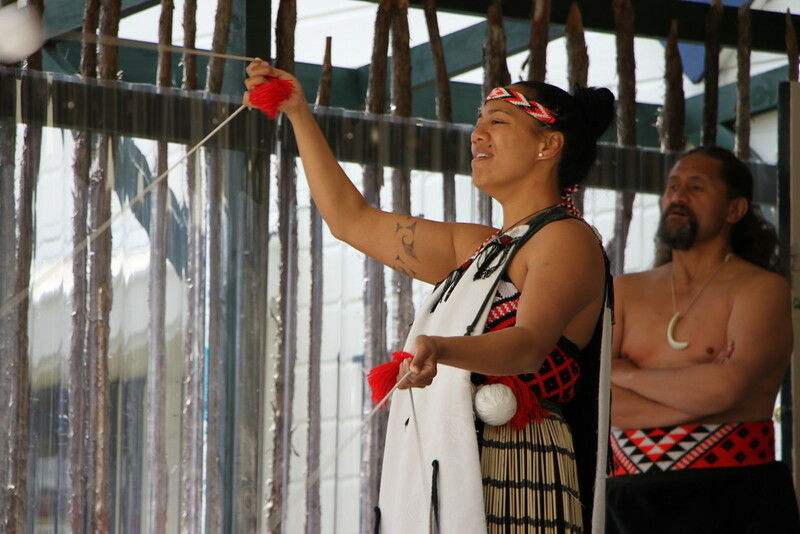 After an hour or so of touring the village, we were invited to watch a traditional Maori performance with dancing and singing. Compared to some of our other adventures around the North island of New Zealand, this was a much more chilled out morning and we enjoyed the chance to learn more about the Maoris in New Zealand, and see how people live amongst a very active volcanic region. 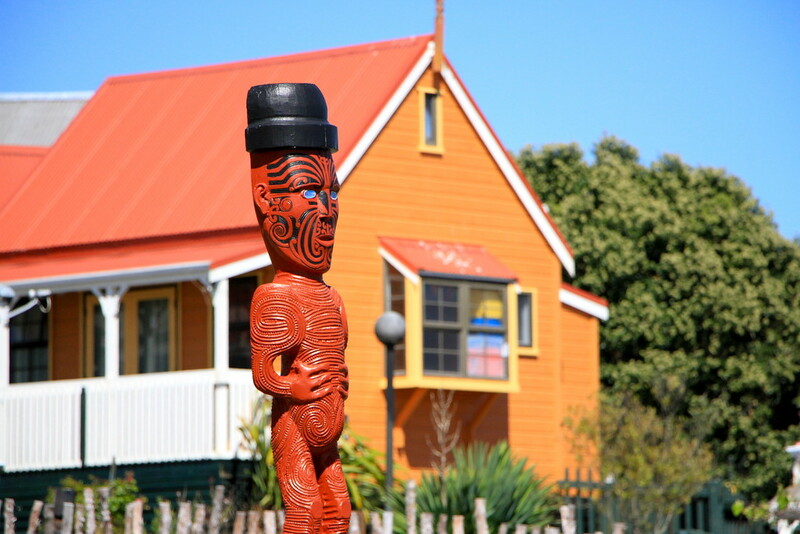 If you spend anytime in Rotorua, we’d recommend a visit! Looking for more New Zealand inspiration? Click here. The Ultimate One Week New Zealand North Island Itinerary & Route!